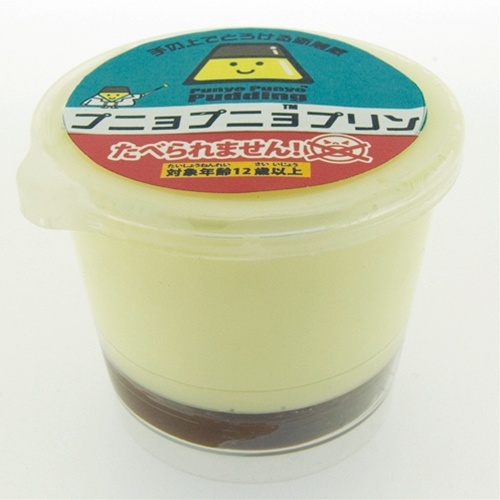 The artificial “Punyo Punyo pudding” might look like any other gag item. 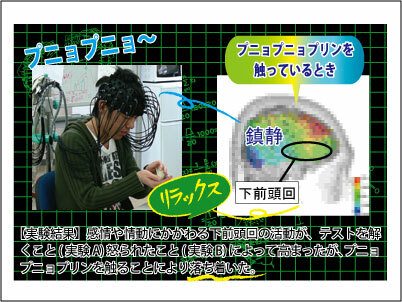 But their inventors were so convinced of the tactile appeal of their creation that they conducted an MRI experiment. Amazingly, the test person’s brain relaxed in stress situations when touching the gooey mass. The sensation is actually somewhere between gross, fascinating and pleasant. Brain activity surges at the strange, unknown tactile sensation, and then descends just as quickly, leading to the desired healing effect.